It’s been nearly two years since we saw the release of Cytus ($1.99), an excellent music game that was not only built on a solid gameplay foundation but has been continually updated with new tracks since its release. Now, developer Rayark is back with their second music/rhythm title and it’s just as awesome as the first. Deemo’s ($1.99)gameplay may not be groundbreaking, but it’s still an amazing game with a highly refined experience worth checking out. From a gameplay standpoint, Deemo’s mechanics are a bit more on the traditional side than the Ouendan-style that Cytus used. For example, while Deemo still centers around tapping notes to the rhythm of the music, notes fall from the top of the screen to the bottom and must be tapped on the beat line a la Rock Band/Guitar Hero. 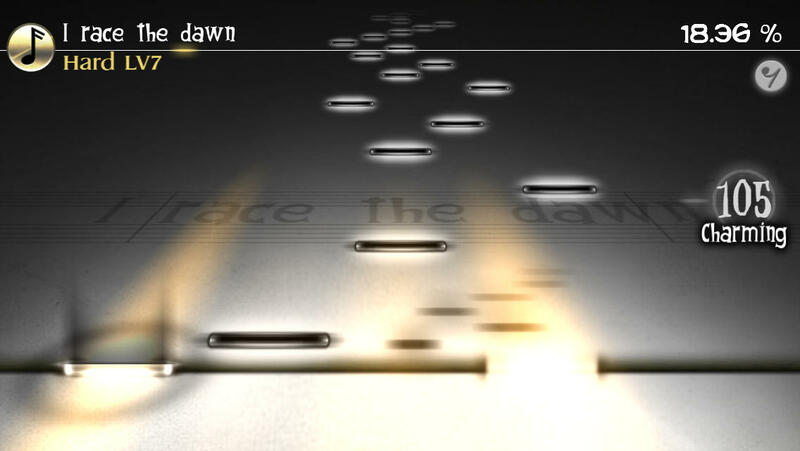 Standard elements, such as double notes and quarter/eighth/sixteenth notes make up the majority of the gameplay. Meanwhile, special fast notes that can simply be played by holding a finger on top of them (which makes for some cool sliding scales) adds a little variety to the mix. I’m a fan of both styles, but I think I prefer Deemo’s simply because it’s a bit more familiar and accessible. There’s also a story associated with Deemo and centers around a little girl and her musical adventure with Deemo the ‘Mysterious One.’ Although it’s rather discreet and doesn’t really impact the gameplay, I still really enjoyed the cutscenes and sense of progression, which is symbolized by a tree that grows with the more songs you play. It conveys a sense of wonderment that compliments the actual gameplay and the rest of the overall presentation. It’s also supplemented by a gorgeous visual style accompanied with individual art pieces for each song. It gives the entire game a certain whimsical flair that I really appreciate. 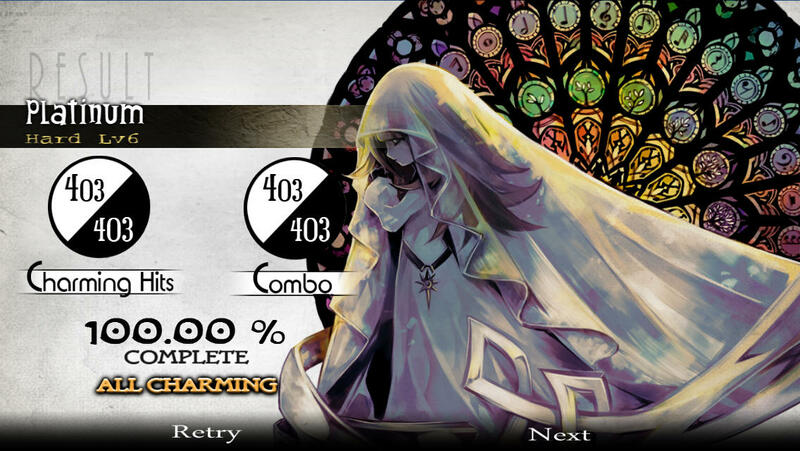 Where Deemo really shines is in its music selection and balanced note structure. Rather than focusing on the general ‘tune’ and rhythm of a song a la Cytus, Deemo is all about playing the piano. This allows players to focus solely on that instrument, which leads to less distraction while experiencing the whole song. The difficulty curve, meanwhile, is excellently balanced with introductory difficulties truly being for beginners and expert note lines offering the perfect balance of increased difficulty and enjoyment. Deemo also gets extra points for providing note speed options, which are very useful when taking on harder songs with a lot of notes close together. Finding a decent variety of music that focuses on piano would seem like a hard task, but this is by far Deemo’s strongest aspect. A mix of instrumental and vocal tracks spanning several genres are available for unlocking and sound absolutely fantastic (especially with headphones). Some are fast-paced and heart-pounding while others are slower and provide a deeper experience. Regardless I can honestly say that I loved every piece available in the base package. In fact, my sole complaint is the relative small selection of music available in Deemo without having to resort to purchasing additional songs via IAP. However, considering Rayark’s track record with perpetually adding tracks to Cytus, I’m not too worried about it. The ability to preview IAP tracks prior to purchasing is another nice touch. I’m a huge fan of rhythm games, so any title that can manage to get the gameplay right is worth a playthrough in my book. However, Deemo is so much more than that. The game’s art style and subtle story meld together beautifully to create an overall presentation that simply works. When you combine this with the superb song selection there’s very little to not love. As far as pure music titles go on iOS, Deemo continues the high standard set by Cytus and really needs to be experienced.